This old relic is part of an ongoing project that I’ve been working on for over 3 years. 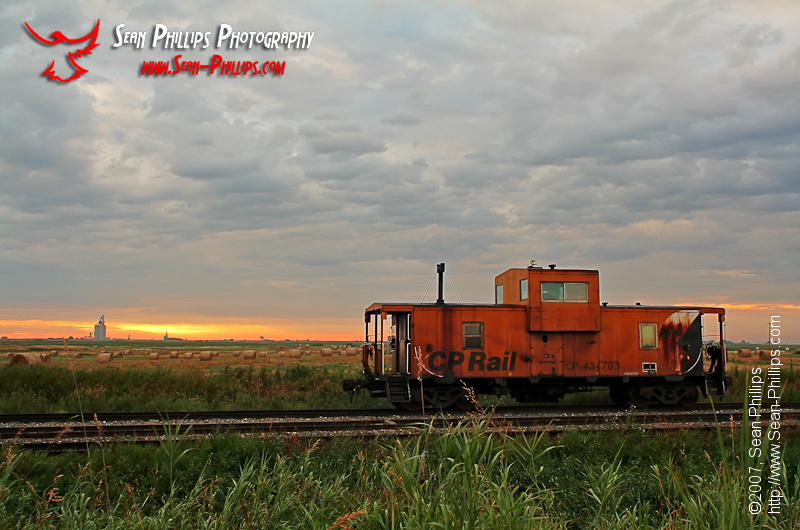 The caboose gets moved around pretty regularly, but it always stays on the same piece of track. 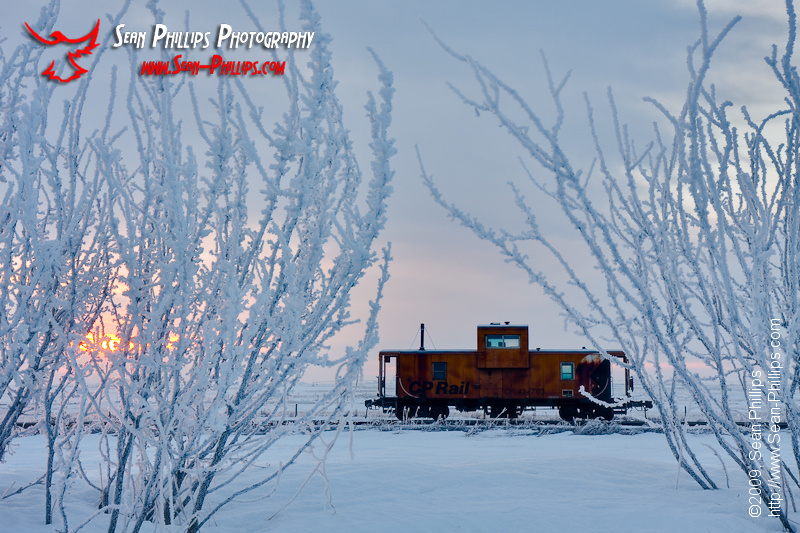 I’ve made many images of it in all seasons and in a variety of weather conditions. I always look for it when the seasons change or when I see dramatic weather. 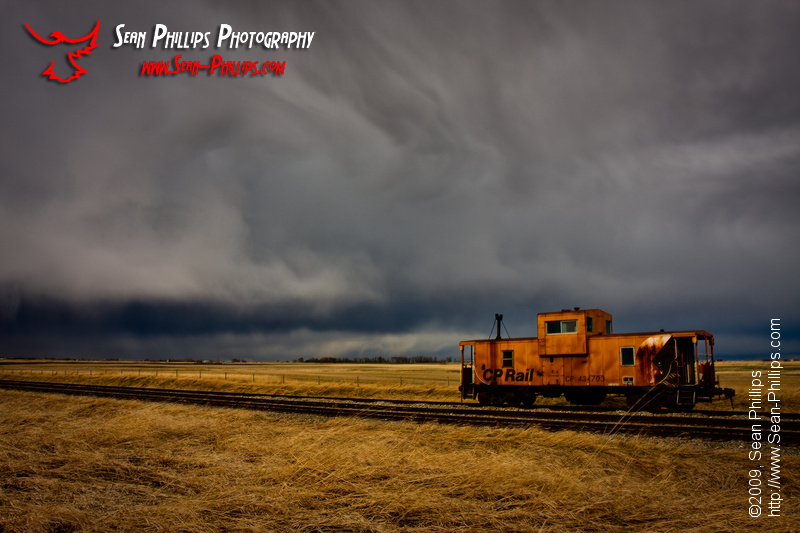 When I saw these clouds brewing in the distance I immediately thought of the caboose and went directly to it to try to add another image to my collection. 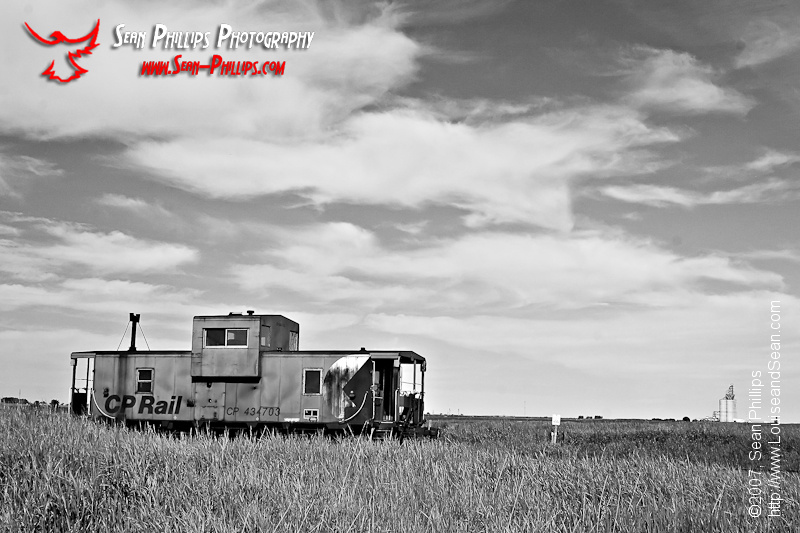 Occasionally it gets hidden between other active railcars or even an entire train, so I was happy to find it sitting out on it’s own today. It has been very warm in the afternoons lately, but very cold at night. 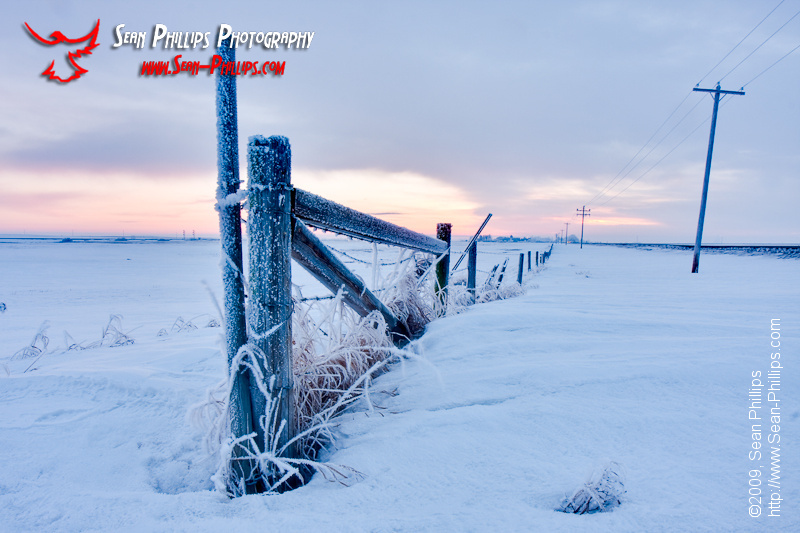 This has led to some very heavy fog blanketing the prairie landscape every morning and has resulted in a thick layer of hoar frost being coated over everything. It has made for some very difficult driving conditions, but has also made for some very scenic views when the fog breaks. While driving to work the other day the fog was so thick that I could barely see what was in front of me. It was so dark that I thought sunrise was still a long way off. However when I drove into a break in the fog and saw the glowing sunrise ahead of me I was very excited to see how beautiful it all looked. 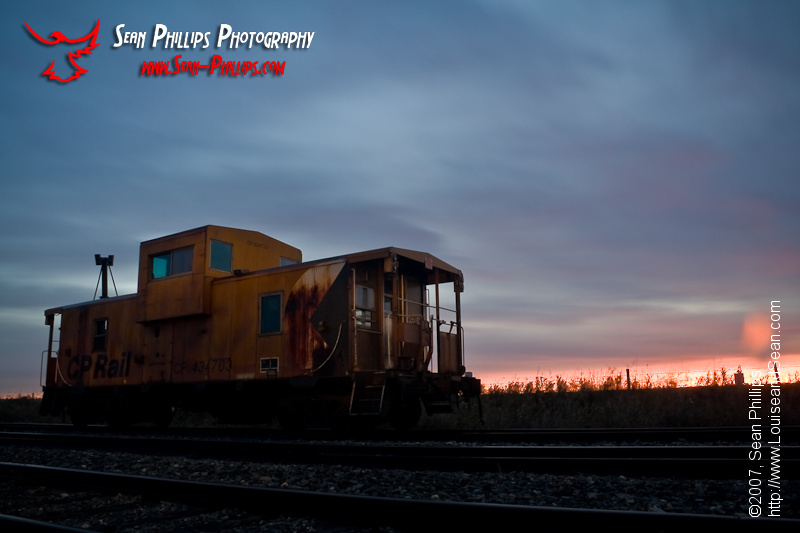 This caboose is part of an ongoing project of mine. Although it gets moved regularly (the adjacent piece of track is used everyday by active trains), it has been on the same piece of track for over 3 years now and I’ve made many images of it. 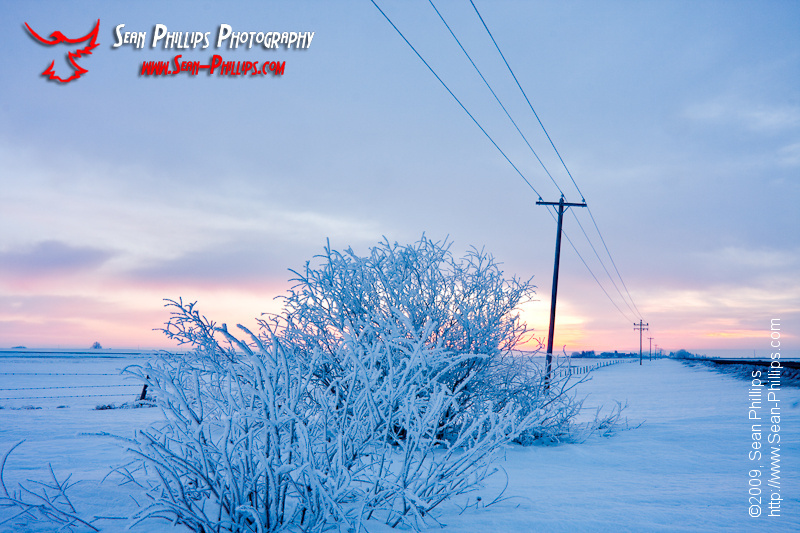 I haven’t looked for it in a long time now and this is the first time I’ve shot it in winter. It was sitting in a different spot than I’ve ever seen it and it was pretty exciting to see it so beautifully framed by the icy branches. Here are a few of the other images I’ve made of this old relic. Just looking at these images really makes me look forward to the coming spring and summer seasons!